Do we really know what we wear? The fashion industry is becoming increasingly superficial and less sustainable for our planet. We can no longer accept it. 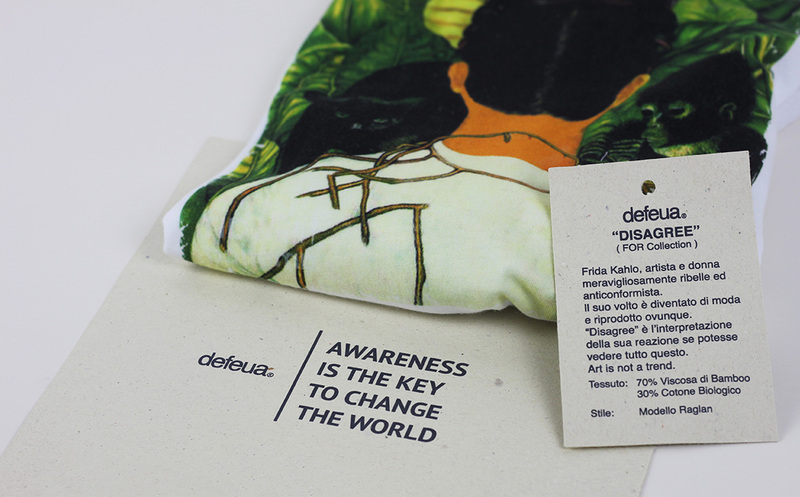 Defeua® totally distorts the perspective, proposing a streetwear where you can be aware of what you are wearing at 360 °, starting from the history of every single artwork to the fabrics, produced with sustainable fibers and in an ethical way. “KNOWEAR” is an event born to create a different vision on clothing through awareness.